Insulin-like Growth Factor (IGF1) - plays an important role in tissue anabolism and is the prohormone that human growth hormone converts to, establishing its healing effects. Platelet Derived Growth Factor (PDGF) - regulates cell growth and division. PDGF is key to vasculature formation, the growth of mesenchymal cells into cells such as tenocytes, osteoblasts and fibroblasts, and aids in the process of chemotaxis to direct mesenchymal cells into the tissues. Fibroblast Growth Factor (FGF) - critical in the promotion of endothelial cell proliferation and promotes angiogenesis as well as the formation of new blood vessels to feed tissues. Vascular Endothelial Growth Factor (VEGF) - like FGF, crucial in angiogenesis and the formation of new blood vessels. Epidermal Growth Factor (EGF) - stimulates cell growth and differentiation, as well as tissue maintenance and repair. PRP is an hour-long procedure throughout which patients remain awake and comfortable. Numbing medication is used to ensure patient comfort. 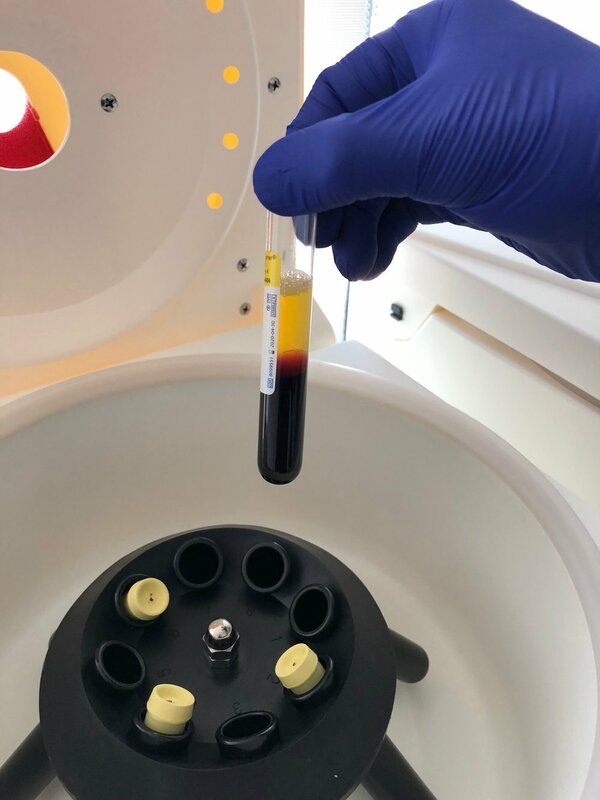 It is a relatively easy procedure that begins with a simple blood draw, which is then processed by centrifugation to isolate platelets and plasma in customized concentrations (based on injury application). Once the PRP is prepared, it is injected - with ultrasound guidance to ensure proper placement - into the treatment site.